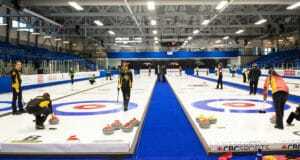 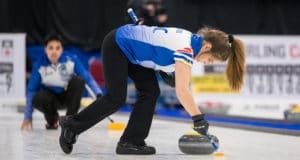 All eyes in Fredericton are on some of the biggest names in curling at the 2019 Canadian Mixed Doubles Championship. 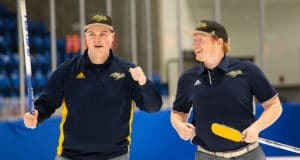 But there’s other teams flying under the radar and honing in on playoff spots after the conclusion of Thursday’s draws at Willie O’Ree Place. 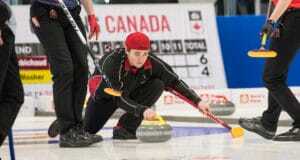 Men’s Championship Saturday’s early matches in then Men’s Draw were primarily one-sided affairs. 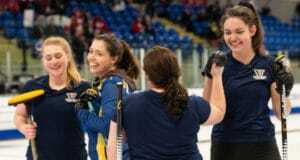 The NAIT Ooks remained undefeated by scoring five in the third end and three in the fifth on their way to a 13-1 win over the Sault Cougars. 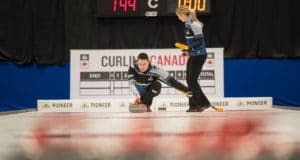 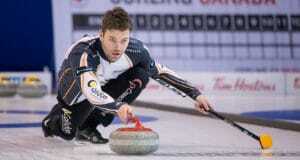 NAIT was focused from the start, curling a championship best 85% as a team with JJ Crowder curling 100% and his teammates Trygg Jensen and Jonah Tobinski both curling at 88%. 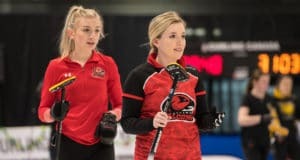 FREDERICTON (U SPORTS) – The defending women’s champion Alberta Pandas won twice on Day 1 of the 2019 U SPORTS / Curling Canada Curling Championships, in Fredericton.